– December 16, 2012Posted in: SusieQ FitLife Breaking News, SusieQ FitLife Updates! Chef Carla Hall's Cooking with Love! FitLife Contest with SusieQ FitLife! Enter Here! 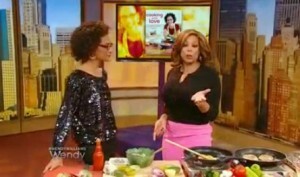 Watch Chef Carla Hall from “The Chew” on Wendy Williams & The Rachael Ray Show to WIN! SusieQ FitLife is proud to present the “Cooking with Love!” FitLife Contest! Chef Carla Hall, Co-host of ABC’s “The Chew” will personal autograph a copy of her brand new book to one lucky FitLifer! The fun part about this contest is that Carla Hall came up with the question people will have to answer below! Celebrity Fitness Trainer, SusieQ did not waste any time to make this official announcement! The Contest Closes on Sunday, December 16th @ 8PM! Only ONE will be selected in a random draw based on the reply entries below by Chef Carla Hall! Comfort Foods That Hug You! 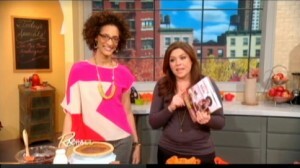 Watch Carla Hall weekdays on ABC’s The Chew @ 1pm! Watch Your Mouth & Get a FitLife! GOOD LUCK! Good evening FitLife Family. Thank you SusieQ for always keeping your Fitlife family up to date and in tuned. I must say that I love turkey burgers. (Depends on how they are made and Carla’s Buffalo Chicken Wing Burger with Blue Cheese and Celery Slaw will make your toes curl). I do not eat a lot of meat, but when I do, its fish or poultry. (The tryptophan in the turkey puts me right to sleep LOL). Well healthy burgers hug me all year round because they are quick and I can eat them slowly without a lot of guilt. I ate ½ a burger yesterday and finished it up today. Yumm. Thank you for the recipes Susie Q! My favorite from the videos is the Pumpkin Pie that she turns into a Gourmet Dessert. (I am actually going to use this with some of our pies for the community Thanksgiving Dinner.) It hugs me “for real” because there is nothing as good as chocolate and pumpkin. Dark chocolate just says “love” and then topping it with a cookie crumb. That’s just like the three best things about sitting at Grandma’s table all in one bite. I just know the folks attending our dinner are going to feel the hugs and the love from those pies! Well I have already liked your page and Chef Carla’s and I have been following both on twitter — so I guess I’m good. Wishing good luck to all!